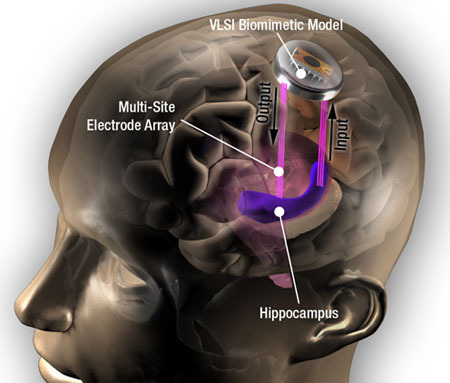 Is a Memory Implant Device in Your Future? 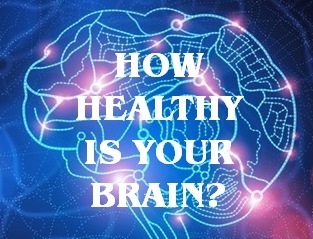 Some fascinating work being done by a neuro-medical group at University of Southern California points to the real possibility that practical brain implants to repair and restore memory function lost in Alzheimer’s disease could be reality in a few decades. Dr. Theodore Berger, Professor of Biomedical Engineering and Neurobiology at USC, runs a group that has developed a hardware/software system that appears to restore damaged memory function. The system has been tested in mouse models, and is slated to be tested in people with severe epilepsy symptoms. Photo credit Center for Neural Engineering, USC. If this seems a little far fetched, keep in mind there are already working neural prosthetics that can translate neuron firing rates from the human motor cortex into finely tuned movements in a mechanical arm and hand. Once the basic science is validated and replicated in humans, the next steps will include coming up with practical ways to “install” devices in the brain – an engineering, and maybe artistic challenge.